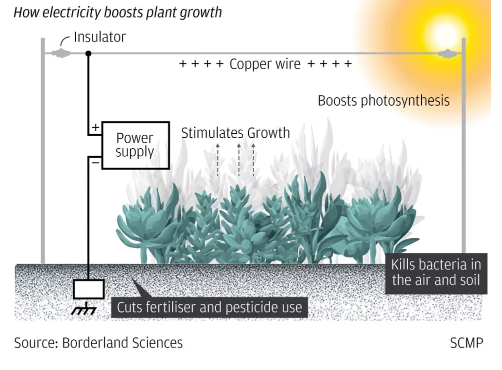 Chinese growers have the answer to a question that has been baffling scientists for three centuries: Can electricity boost plant growth? To find out, China has been conducting the world’s largest experiment and the results are transforming agricultural production in the world’s most populous nation with a jolt. 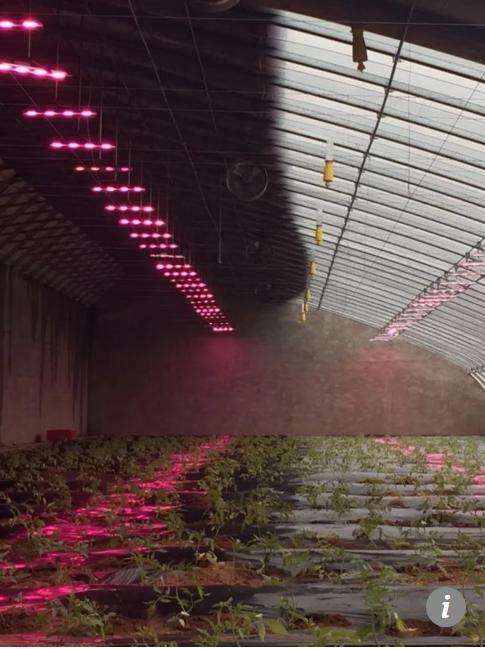 Across the country, from Xinjiang’s remote Gobi Desert to the developed coastal areas facing the Pacific Ocean, vegetable greenhouse farms with a combined area of more than 3,600 hectares have been taking part in an “electro culture” program funded by the Chinese government. Last month the Chinese Academy of Agricultural Sciences and other government research institutes released the findings of nearly three decades of study in areas with different climate, soil conditions and plantation habits. They are hailing the results as a breakthrough. 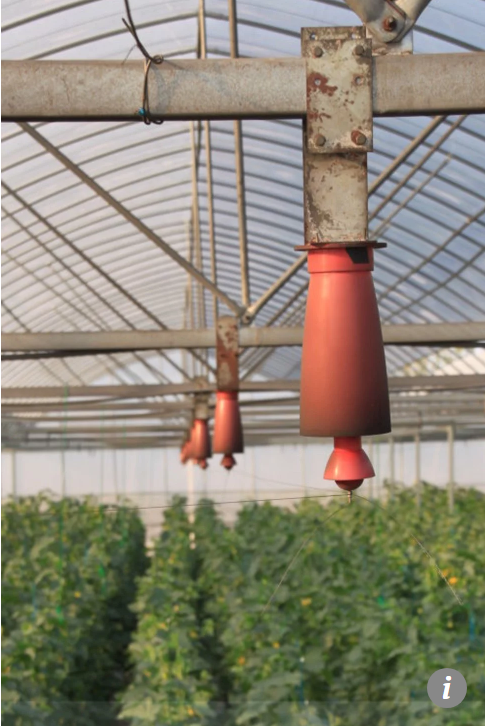 The technique has boosted vegetable output by 20 to 30 percent. Pesticide use has decreased 70 to 100 percent. And fertilizer consumption has dropped more than 20 percent. The vegetables grow under bare copper wires, set about three metres above ground level and stretching end to end under the greenhouse roof. The wires are capable of generating rapid, positive charges as high as 50,000 volts, or more than 400 times the standard residential voltage in the US. The high frequency electricity kills bacteria and virus-transmitting diseases in the air or soil. It also suppresses the surface tension of water on leaves, accelerating vaporization. Within the plants, the transport of naturally charged particles, such as bicarbonate and calcium ions, speed up and metabolic activities, like carbon dioxide absorption and photosynthesis, also increase. Professor Liu Binjiang, agriculture scientist and a leading member of the project, said the electric current flowing through the wires is only a few millionths of an ampere by volume – lower than a smartphone cable’s workload. “It does absolutely no harm to the plants or to humans standing nearby,” he said. Thanks to the positive findings of the study, the area devoted to electrified farms in China is now growing with unprecedented speed, according to Liu, from 1,000 to 1,300 hectares each year. That means up to 40 percent growth in electro culture farming could be achieved within the next 12 months. “Most recent investments have come from the private sector,” Liu said. “The business is taking off. We are supplying the technology and equipment to other countries including the Netherlands, United States, Australia and Malaysia. The British and American authorities each commissioned separate studies on electro culture in the early 20th century. The British findings were positive, while the American results were negative. These experiments were mostly small and conducted in open fields, with conditions which varied from one location to another. The wide range of natural elements affected the final output and there was no universal standard for hardware design or technical details such as voltage and frequency. The scientists in these pioneering studies also lacked advanced equipment, such as today’s portable spectrum analyzer, to study the plant’s response to electricity at the molecular level. As a consequence, explanations of the observed phenomenon remained speculative and interest waned with the advent of chemical fertilizers and pesticides to achieve mass agricultural production. Public interest in electro culture revived with the rise of organic farming and the Chinese government started funding experiments in the technique in 1990. He Feng, senior technician of Yufa Jingnan Vegetable Production and Sales, one of Beijing’s largest vegetable producers, said the company had taken part in the program since 2014 and the results were “very satisfactory”. 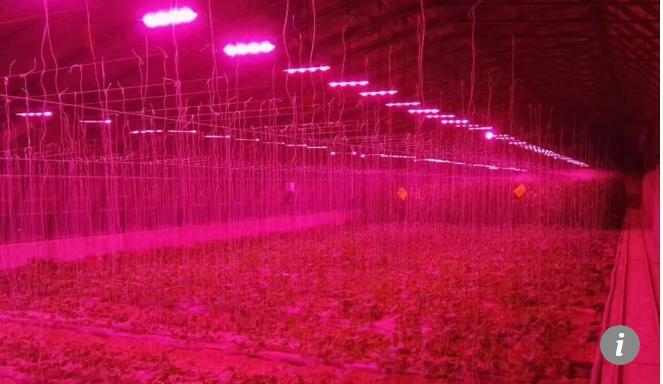 In just two years the electrified vegetables had brought in extra revenue of nearly 1.2 million yuan. “We are still running the equipment, which consumes very little power,” he said. One hectare of electrified greenhouse requires about 15 kilowatt-hours of electricity per day, which is about half the power usage of an average American family. Inside the greenhouse the air smells like the aftermath of a summer thunderstorm. Humidity is low and the plants rarely get sick. The biggest burden is the installation cost, He said, with the necessary hardware costing tens of thousands of yuan. 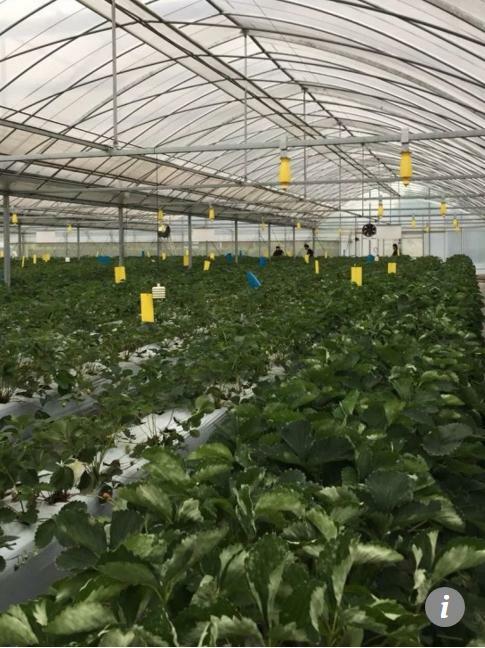 Without government support, the company could not have afforded to wire up all its greenhouses. 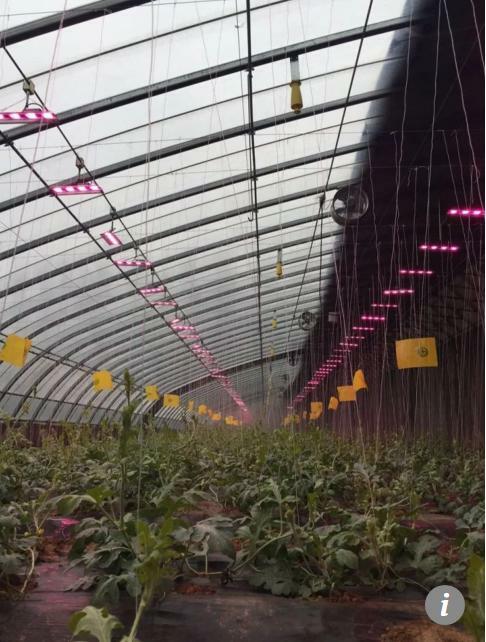 Liu Yongyi, owner of City Luhai Xinghua Sightseeing Agriculture company in Beijing’s Daxing district, which is also engaging in electro culture, said the technology would significantly improve China’s food safety by massively reducing the use of pesticides. “Pesticide residue is a huge threat to public health. Electricity provides a physical solution to disease and pest control. It is much cleaner than chemicals. The government should subsidize the electro culture revolution,” he said. Liu said visitors to the farm were intrigued when they saw the system at work and he believed the public would be quick to embrace the technology. “The theory is easy to understand. I believe people would be willing to pay a premium for electrified vegetables and fruits in the near future,” he said. Professor Liu said there were no plans to electrify them all, as the investment would be unaffordable for most farmers. His project team is taking a different approach and developing a compact, all-in-one vegetable growing chamber using electro culture technology. “Each family would be able to grow their own food in the kitchen, on the balcony or in the backyard,” he said. 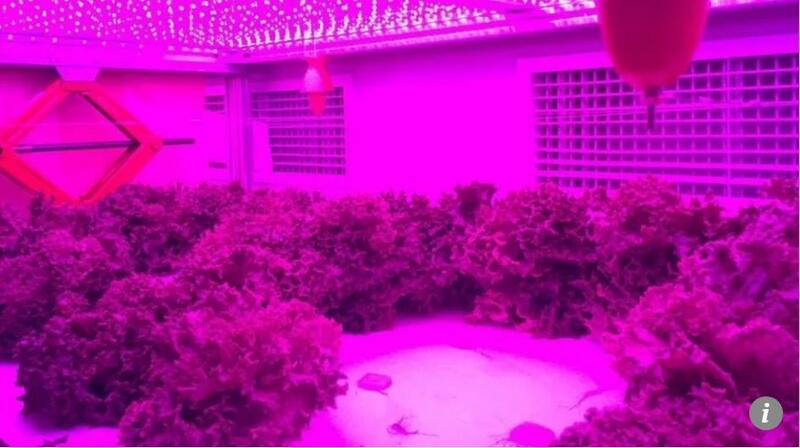 The chamber uses an artificial light source and electric field to stimulate plant growth and prevent diseases. Operation is automatic and almost care and maintenance free.